Discovering mold in a home or business can incite a great deal of stress to the South Jersey property owner. It can be rather difficult to understand where to begin if mold is an unfamiliar entity (which it is to most people). 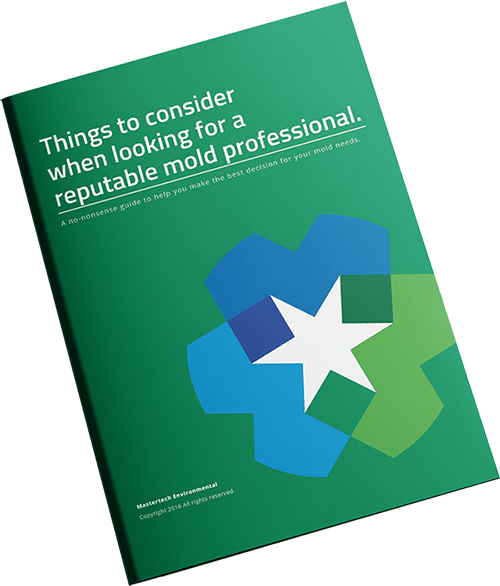 The first step would be to find a reputable mold company in your New Jersey area to complete a comprehensive mold inspection and determine the full extent of the mold development (if it is even mold). The nature of mold allows it grow on nearly any and every surface. Mold growth can be worse than it appears. A trained professional will have the necessary tools to safely assess your home and provide you with an appropriate solution. A Cherry Hill, NJ mold inspection from MasterTech includes: a visual assessment, moisture mapping, thermal imaging, mold sampling and testing, and a detailed report of findings. Cherry Hill NJ homeowners tend to fear that their home will be blasted with a harsh and dangerous chemicals during a mold remediation. 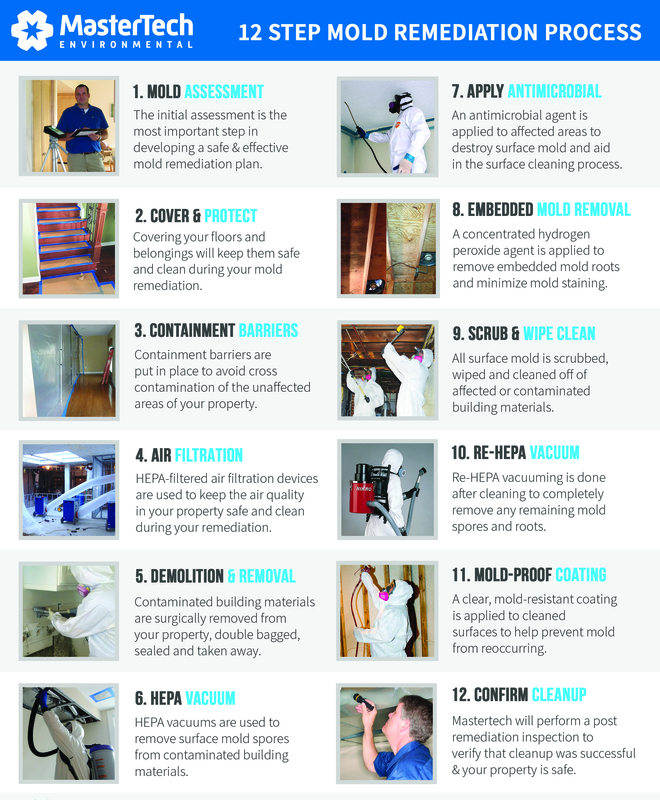 MasterTech has taken all measures to ensure you and your family will be returning to a mold-free and safe home. We use the safest and most effective methods available for each mold removal in Cherry Hill, NJ. Our team of experts in South Jersey is constantly researching newly developed mold removal methods, to ensure that our process stays the safest, most effective, and most efficient. The MasterTech Team has taken time to design a step-by-step mold removal process that is safe, effective, and efficient for your Cherry Hill, NJ home. Our remediation process combines the safest, most effective, and most efficient methods and techniques so we can be confident that the job is done right the first time. When hiring a mold professional in the Southern New Jersey area, know that a mold remediation done wrong can leave you and your family with more problems than you started with. A bad mold remediation in Camden County, NJ can lead to more property damage, allow further mold development, and result in costlier repairs. That is why MasterTech is committed to getting the job done right the first time. As part of our commitment to providing the safest and most effective mold remediation in New Jersey, we complete a post remediation inspection with testing after each mold removal to confirm a successful cleanup. We then back each mold remediation in Cherry Hill, NJ with a 5-year, mold-free warranty. It is our promise that the mold is gone, and it will not come back. MasterTech Environmental is one of New Jersey’s top rated Mold Damage Contractor for residential and commercial buildings and currently services all of New Jersey. We are a family owned and operated, local company that specializes in environmentally safe disaster recovery. We are fully licensed and insured in New Jersey mold testing and remediation and offer a 5-year, mold-free warranty. All our technicians are certified through the IICRC and ABRA to ensure that they do the job correctly. Our technicians are also licensed and certified to clean up bio hazard/hoarding conditions. MasterTech offers 24/7 response for emergency water, crime and death scene cleanup. If you suspect mold development in your Camden County, NJ home or business call us today! If you need mold removal Somerdale, NJ or mold inspection Brooklawn, NJ, we can help.